We often talk about leadership and management, giving little thought to the differences between the two. Simply put, leadership is about getting the most out of people, whereas management focuses on the tasks. True leadership is about achieving management alignment and working with teams to reach a common set of goals. Leadership in process safety requires an understanding of the risks to people, the environment and the business, a vision and an ability to share this with others. It means having clearly defined aims and objectives, a formal written policy to cover regulatory and corporate requirements, a recognised champion, and collective behaviours at a senior level that clearly demonstrate process safety is a core value. Good leadership is also about making sure those involved have and feel the support of their leader. This means establishing responsibilities and accountabilities for all managerial and supervisory levels and anyone else with an active part to play in process safety. It requires allocation of appropriate resources to support a successful outcome, which should be given explicit consideration in the budgeting process. A collective responsibility requires competency requirements to be identified, with minimum staffing levels agreed and a commitment to training to ensure that all concerned understand the process hazards and risks they may encounter, and how to control them. 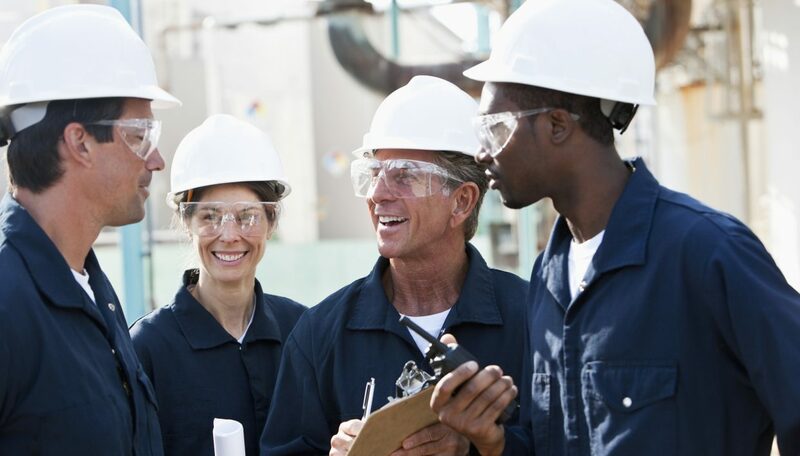 This will likely require formal training on process safety principles specific to their areas of responsibility, with periodic refresher training and additional training as and when changes occur or when deficiencies are identified. Changes in staffing should be managed within a robust management of change system, with individuals assessed against explicit specifications for the mix and amount of expertise necessary for safe and efficient operation of the facility. A good leader will respect the creativity of others and learn from the people around them, knowing how to motivate them, maximising their potential as individuals and as part of a team, to ensure everyone contributes fully. This requires systems for sharing information on process safety policies, objectives and plans to achieve the desired level of performance, and professional development processes to develop individual and collective competencies. Leaders must also know how to listen to stakeholders, providing multiple means for the workforce to report potential hazards and to provide input to management on operational safety management policy, issues and needs. This two-way communications process might require monitoring through a variety of information sources such as Process Safety Performance Indicators, meeting minutes, employee surveys, formal suggestion schemes and personal conversations. Industry groups and trade bodies provide further opportunities for sharing valuable information. Where non-compliances, concerns or opportunities for improvement have been identified, procedures should be in place to ensure that these are fully investigated and, where appropriate, actions assigned to address them. Formal tracking systems should also be established for process safety recommendations and suggestions, and strict accountabilities should be imposed for their timely resolution. All of this will serve to reassure stakeholders of leadership’s commitment to process safety. HFL Consulting’s CIProS L7 Award for Corporate Governance in Process Safety is one of a number of regulated qualifications focused on continuous improvement in process safety. It provides senior managers and board members with a wider understanding of corporate governance principles to help them effectively lead process safety programmes and teams in accordance with recognised good practice guidance. HFL Consulting also have the expertise to ensure that policies, management systems and procedures remain fit-for-purpose, efficient and effective. For example, we can help you to assess your key risk control systems through focused audits, management review and use of process safety metrics. Contact HFL Consulting today to find out more about our process safety programmes or visit our website to learn more about our training and consultancy services here.